Description: Use a laser sighted rifle and shoot the approaching zombies. 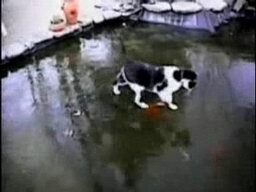 Watch as a cat tries to catch fish that he sees through the ice on a frozen pond. Collect powder, ammunition, cannons and comrades while navigating your pirate ship.